To fill this request, Chicago photographer Colleen Plumb drove north to Waukegan, a city on the shore of Lake Michigan. She considered it a mission to figure out what Ryan might want to see. 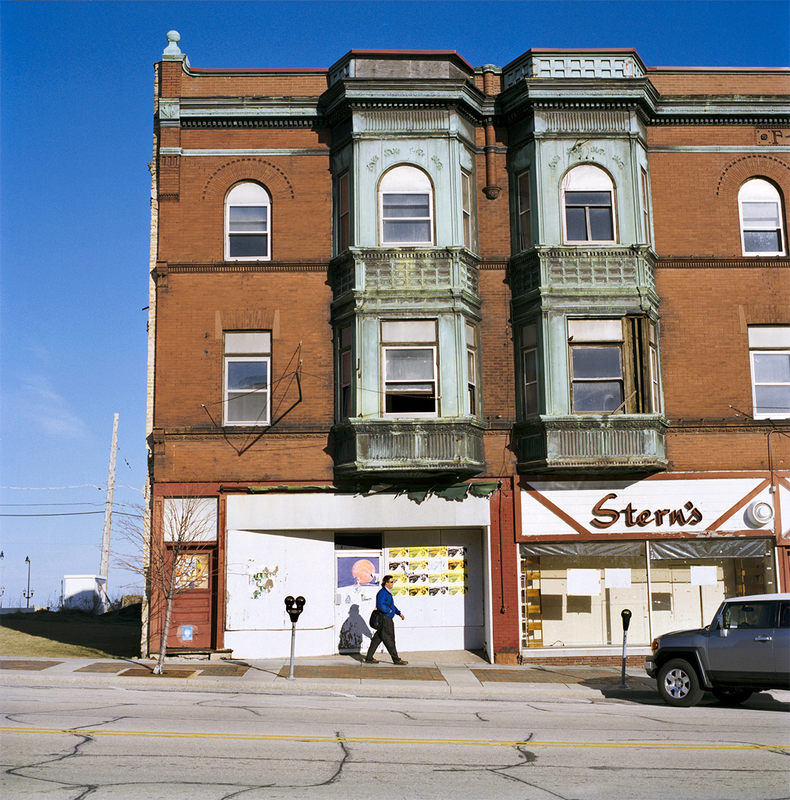 She took five photos, including this shot of Stern’s Department store and a door covered in stickers. She waited patiently for someone to walk by so he would be able to see a some action in his hometown. Ryan is one of several men in isolation at Tamms with a serious mental illness and both he and his mother have been active in the Tamms Year Ten campaign. Photo by Colleen Plumb, 2012.